Hindsight is a generous provider of absolution of the guilt from falling for the sophisticated western government or state propaganda and their media sleights of hand that so often deceive us into believing the narrative they present, one that’s so often designed to justify military intervention. Invariably this is a narrative that all but ensures the massacre of innocent people under the pretext of ‘liberating’ them, or introducing ‘democracy’ that always promises to erase some perceived grievance of an western-backed opposition movement. Western nation-builders normally prescribe the same treatment every time: cutting a swathe through the host country’s society and culture either via proxy armies of foreign mercenaries under the guise of various terrorist factions or with an onslaught of bombs and assorted mass destruction or chemical weapons (including depleted uranium) which can render their land barren for decades and result in birth defects, increased cancer rates and a multitude of devastating side effects for generations after. While all this is going on, a parallel government has already been formed by the west, laying in waiting in some five star hotel in Paris or London. Despite such hindsight and the universally accepted knowledge that it was in fact pure fiction that took us to war in both Iraq, and in Libya too, there is still a huge degree of cognitive dissonance at play over the Syria commentary. The lies regarding Syria, lies which are designed to justify western military intervention and arming proxy militants, are ongoing. Even today the New York Times provided a key Washington propaganda talking point in its headline which reads, “Violence in Syria Spurs a Huge Surge in Civilian Flight“, with the important subheading which states: “Government Offensives and Russian Strikes Are Catalysts“, essentially blaming Russia’s three week old air campaign for the “surge” of refugees entering Europe through Greece, all the while neglecting to mention most of these originate from the pool of almost 2 million who have been languishing in Turkey from as early as 2012. Like clockwork, western propaganda mills continues, all day, every day. Disbelief is invariably registered when it is demonstrated that Syria is undergoing the same ‘truth laundering’ treatment as Libya and Iraq underwent previously, or that Syria’s resistance of the West’s open attempt at regime change attempts for nearly 5 years now is the reason for repeated spikes in propaganda. We’ve seen many different versions of the West’s creative narrative at any give moment, especial when Syria or its allies persistently thwarts the Colonialist vision for the region. Failed policies never play well on CNN or the BBC in real time, with any serious criticism reserved until a decade has passed and it’s safe for media operatives to comment because the politicians who sold those failed policies have since retired or have been cycled out of foreign policy decision-making positions. The NGO ‘soft power complex’ is now one of the most destructive global forces. It is employed as an interface between civilians of a target nation, with government, economic or military structures of the colonialist force intent on harnessing any given nation’s resources or undermining its geopolitical influence. The Democratization process, or the path to regime change is facilitated by these undercover government or corporate proxy employees who, once embedded into a society, set about producing the propaganda that will justify intervention, either economically, politically or militarily. NGO propaganda will often employ slick social media marketing which is underpinned by advance applied behavioural psychology and advancedNLP-based ‘social enterprise’ sales pitches. 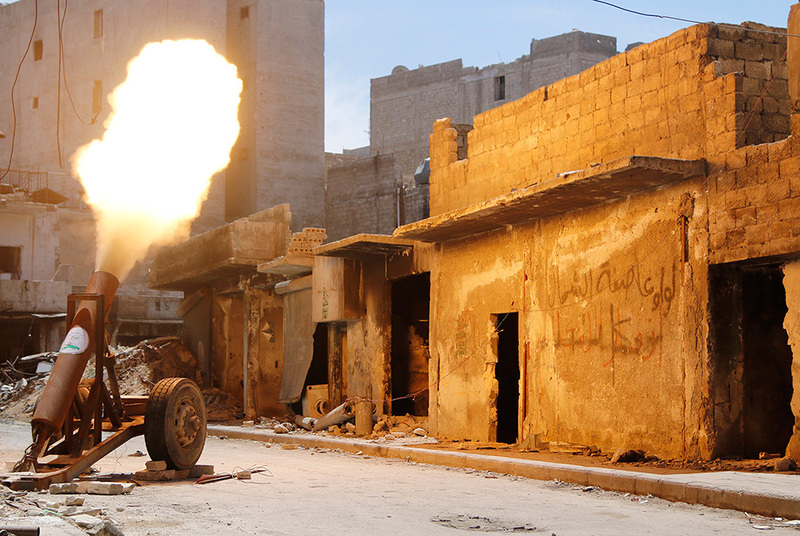 A recent piece by researcher Eva Bartlett entitled, “Human Rights Front Groups [Humanitarian Interventionalists] Warring on Syria“, provides a detailed insight into how this new breed of weaponized politics is being deployed right now in the Middle East. The perception of a ‘non profit’ complex who purport to be “working for the betterment and improvement of humanity” can be a difficult nut to crack, but it must be done. In the west. charities, not-for-profits and Non-Governmental Organisations (NGOs) are seen as “do gooders” and so they rarely fall under public scrutiny. Western governments know the general public has an inherent faith in their perceived integrity and this provides an ideal cover for western government and intelligence agencies to operate through their NGO and aid organisations. Much of the propaganda surrounding Syria and the “conflict” is indeed, mythology spun-up by western agents of influence. A mythology created and disseminated by the NGO complex working diligently on the ground in Syria and remotely in the labyrinths of power, ensures that a steady flow of misinformation continues uninterrupted, one that is custom designed to alter public perception about the situation in Syria and drive us towards supporting the identical mistakes made in Iraq and Libya. It is no error or oversight that the media barely mention Libya these days as it is plunged deeper and deeper into anarchy, where warlords occupy the terror vacuum created by the NATO’s deceptive intervention in 2011. Perhaps if people were confronted by images of the daily horrors endured by the people of Libya these day, they would be more reticent about the passive-aggressive re-creation of that same scenario in Syria. MARKETING: The familiar baby motif is been a hallmark of western cointel pro regime change marketing ever since the incubators in Kuwait. 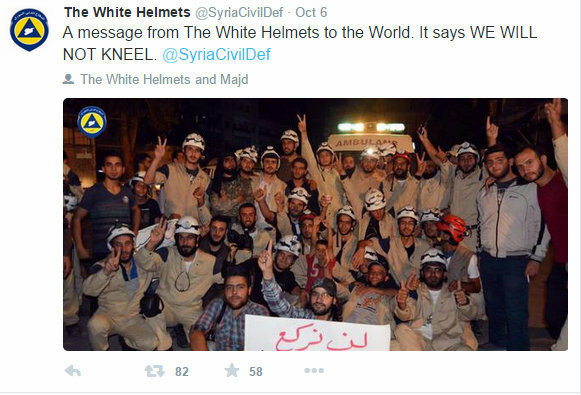 The NGO hydra has no more powerful or influential serpentine head in Syria than the Syria Civil Defence aka The White Helmets who, according to their leader and creator, James Le Mesurier, hold greater sway than even ISIS or Al Nusra confabs over the Syrian communities. 1. That the White Helmets should be included in this list, by James Le Mesurier, his NGO is a group that promotes themselves to be “unarmed”, apolitical and neutral, inclusion in the list makes it obvious that they are politically biased and armed (see details below). 2. That the White Helmets can lay claim to this influence, despite the fact that when asked, the majority of Syrian people have never heard of them, except perhaps for those in Al Nusra, ISIS or [the dwindling] Free Syrian Army held territories. Clearly, what Le Mesurier is attempting to create is the myth of an organic, non-aligned and independent humanitarian organisation, when it’s really a synthetic covert intelligence and forward-operating disinformation asset which is being funded by the British government, and headed by one of the UK’s very best military operatives in Le Mesurier. It is important to analyse the White Helmet mythology, all generated by an incredibly slick and high-gloss media and marketing apparatus, overseen and driven by a George Soros partnered PR company called Purpose. “When I want to save someone’s life I don’t care if he’s an enemy or a friend. What concerns me is the soul that might die” ~ Abed, the White Helmets. “After the bombs rain down, we rush in to dig for survivors. Our motto, “to save one life is to save all humanity,” is what drives us on.” ~ Raed Saleh, White Helmet leader and UN spokesperson. Can an organisation be rightly called an ‘independent relief organisation’ when it is being funded by a foreign government who is directly involved in the military over-throw of Syria’s government? Most intelligent people should have no problem answering that question. This same neutral White Helmet operative goes on to pledge allegiance to the terrorist forces in the region. “SERVE THEM [armed terrorists, Al Nusra/Al Qaeda]” ~ curious turn of phrase for a neutral, impartial humanitarian organisation? 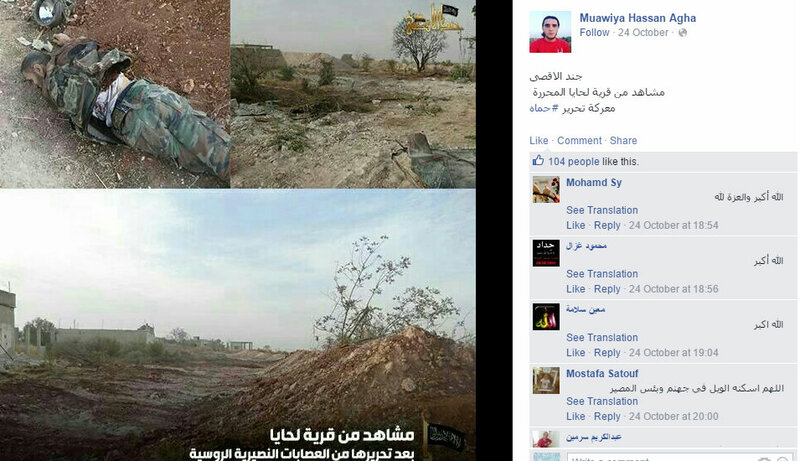 He also congratulates the Mujahadeen for liberating Jisr al Shugour from Assad’s forces. Moving on, another video, this time revealing White Helmet operatives standing on the discarded bodies of SAA [Syrian Arab Army] soldiers and giving the victory sign. This display of support for the Al Nusra terrorists who have just massacred these soldiers once again demonstrates where their true allegiances lie. It should be clear that these alleged “moderates” you are watching here are actually moderate extremists and jihadists, and the western media has been very careful in hiding this fact. We also know via reports from within Aleppo city that it was the Al Nusra terrorists who massacred hundreds if not thousands of civilians before dumping their bodies into the River Queiq: The Truth from inside Syria’s Terrorist Underworld rendering the water supply to Aleppo’s civilian population toxic and undrinkable. Were these SAA bodies, piled unceremoniously one on top of the other and trampled upon by these White Helmet “saints and neutral saviours”, added to others flung before them, into the disease infested waters of the River Queiq? This is one example of how powerful western propaganda can invert reality. For years now, there’s been a tsunami of western government and media talking points which claim that “Assad is targeting his own people indiscriminately”, and these round-the-clock allegations are always backed up by the same pro-opposition news source – the self-styled ‘Syrian Observatory For Human Rights‘ (SOHR) which until recently, was being run by Syrian ex-convict, Osama Ali Suleiman, who uses the media stage name of “Rami Abdul Rahman”. He runs his dubious organisation (see his website here) from his flat in Coventry, England, and is said to travel frequently to Turkey as part of his operation. SOHR has received funding from the EU and like the White Helmets, has been openly affiliated with the British Foreign Office, being summoned to private meetings there. The SOHR has been the “go to” source for all civilian casualty numbers in Syria, even though the numbers put forth cannot be independently corroborated or are not checked at all for their veracity. 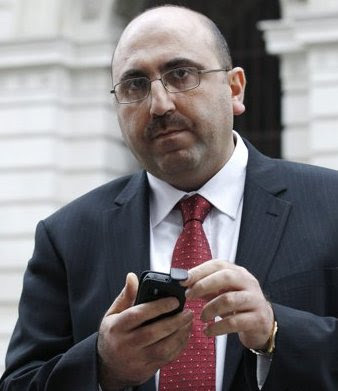 FIXER: Rami Abdul Rahman, head of the Syrian Observatory for Human Rights, leaves the Foreign and Commonwealth Office after meeting Britain’s Foreign Secretary, William Hague, in central London November 21, 2011. Photo Source: REUTERS/Luke MacGregor. The SOHR and western media completely ignore (and cover-up) regular incidents of so-called “moderate” rebels, supported directly by the US and its CIA, who regularly target civilian areas. They are targeting civilians and then blaming these attacks on the Syrian government through the same ‘activist’ media channels. 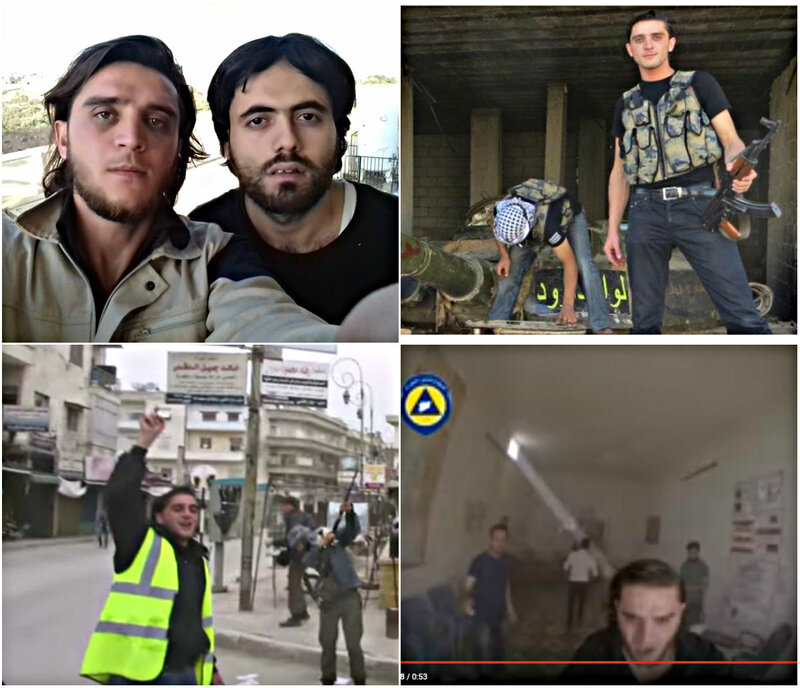 Where is the claimed ‘neutrality’ in the White Helmet reporting in these same conflict areas where they are embedded? We hear incessantly of the “regime barrel bombs”, but we never hear one mention of the flesh tearing ‘Hell Cannon’ fired indiscriminately upon Aleppo civilians, in a hail of mortars and rockets that regularly rain down upon civilian areas, including into Damascus, from terrorist cells embedded in suburbs. Likewise, we are never told about the car bombs that have devastated civilian areas in Homs and Latakia, including schools and hospitals. When do we hear about the tunnels dug under civilian homes and streets by the terrorists that are detonated – as a distraction to divert the SAA into ambushes and sniper fire? These neutral humanitarians would do well to talk about the terrorist snipers who kill and maim civilians on a regular basis. Instead, they ignore atrocities committed against the Syrian army, an army which, unlike the foreign mercenary “rebel alliance” terrorists, is comprised of actual Syrian citizens. For additional details on atrocities committed by terrorists against Syrian citizens, read: Al Houta Abyss, Raqqa: Terrorist dumping ground for the dead & the living. A genuinely neutral report or analysis should surely take all of these factors into account, or are these “other” Syrian civilians not to be registered as such in the western electorate minds and hearts? If so, why not? “The UN estimates 220,000 deaths thus far in the Syrian war. But almost half are Syrian army soldiers or allied local militia fighters, and two thirds are combatants if we count opposition fighters. Either way, the ratio of civilian to military casualties is roughly 1:2, given that the opposition is also inflicting civilian casualties. Compare that to the roughly 3:1 ratio in the US war in Iraq and 4:1 in the Israeli attack on Gaza in 2008-9. (The rate of Palestinian to Israeli casualties was an astronomical 100:1. )” ~ Paul Larudee. Mythology, Barrel Bombs and Human Rights Watch. This is a statement from an Aleppo citizen. Another Syrian civilian who has never heard of the White Helmets. “The terrorists are using mortars, explosive bullets, cooking-gas cylinders bombs and water-warming long cylinders bombs, filled up with explosives and shrapnel and nails, in what they call “Hell Canon”. Google these weapons or see their YouTube clips. The cooking-gas cylinder is made of steel, and it weighs around 25 kg. Imagine it thrown by a canon to hit civilians? And imagine knowing that it’s full with explosives?… Yet, the media is busy with the legendary weapon of “barrel bombs”! They came to spread “freedom” among Syrians! How dare they say that Syrian army shouldn’t fight them back?” ~ from Syria, welcome to Hell. How can the White Helmets make a claim of neutrality while providing simplistic, largely unverified, biased and prejudicial reports that reflect only a percentage of the reality of this complex conflict and blatantly further the objectives of their donors in the region while ignoring the sacrifice being made by the Syrian Arab Army to defend their families and homeland from the invading NATO death squads. 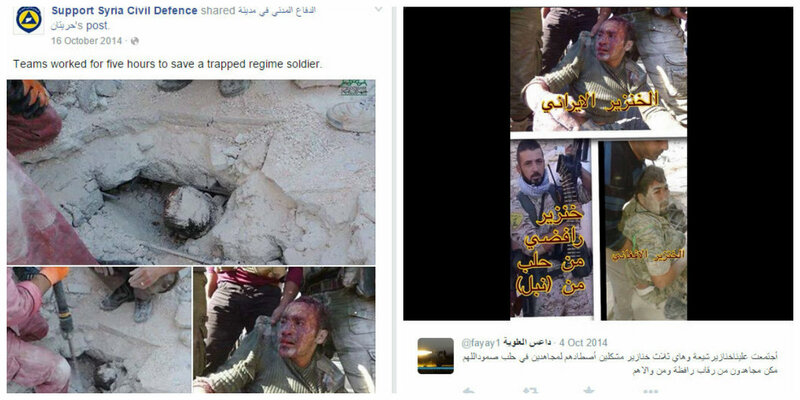 There is an entire library of White Helmet propaganda images that have been proven to be recycled, fake or at best, inaccurate but perhaps the most shocking and most widely publicised was the footage of their suspected participation in an Al Nusra execution of a civilian in Hreitan, Northern Aleppo. This is perhaps one of the most damning indictments of White Helmet collusion with the terrorist group. 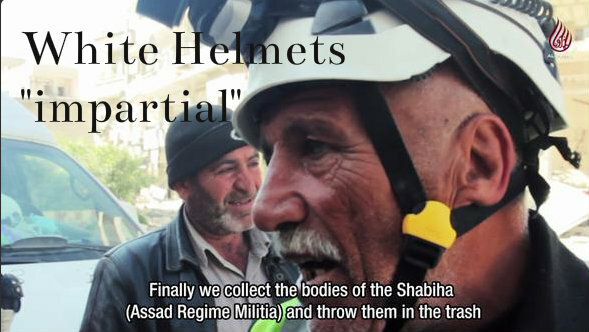 This video was wiped from most channels by the White Helmets immediately after its release, however the website Liveleak has managed to keep a protected copy which has escaped YouTube communitarian-style censorship. The White Helmets were forced to release a statement explaining the events in this video. 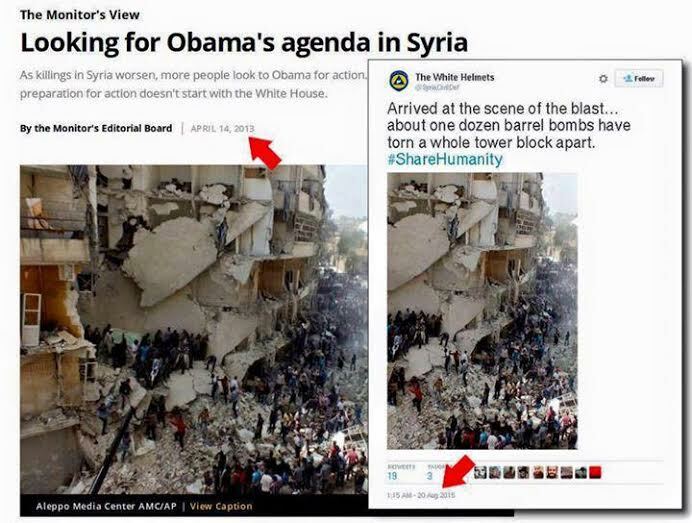 According to their own admission here, the sequence of events on the day, 5th May 2015 were as follows: Al Nusra called the White Helmets 25 minutes prior to the execution. White Helmets arrived on the scene at 11.35 am, 5 minutes BEFORE the execution was carried out at 11.40. These impartial humanitarian workers did NOTHING to prevent this execution, they appear a full 5 minutes prior to this murder at the behest of the executioners and they are ushered into shot immediately after the victim is shot twice at close range in the head, to collect the body. Are these really neutral humanitarians at work saving every Syrian civilian “irrespective of race, religion, gender or political affiliation”? So where is their condemnation of this and countless other executions of civilians by Al Nusra in their reports to the UN? The perpetrator is clearly Al Nusra Front, and it seems as if the White Helmet are avoiding naming the group, and readers would be right to ask why not. 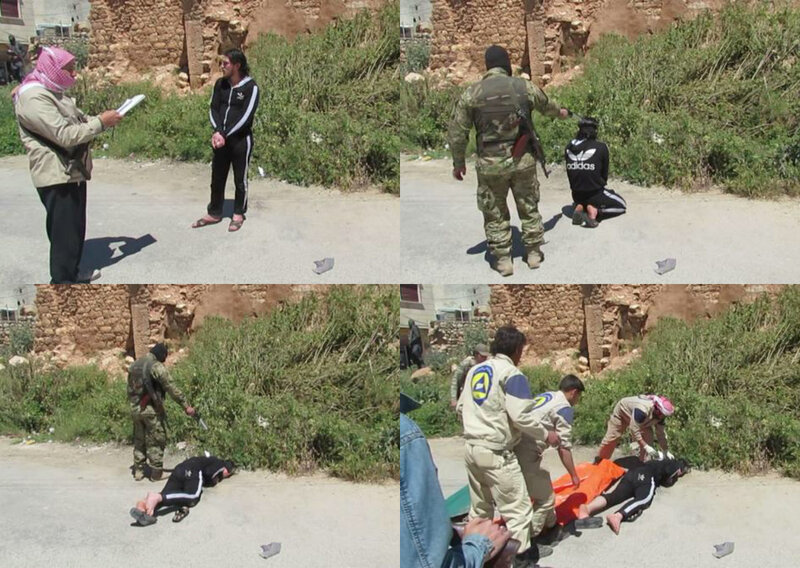 So where is their condemnation of this and countless other executions of civilians by Al Nusra – in those White Helmet reports to the UN? We are now coming up to November 2015, and there has still been no amendment to their “code of conduct”. These humanitarians upon whose testimony, hangs the entire Western intervention policy in Syria, have not been officially investigated or even questioned over their suspected role in the “clean up” of a summary execution of a Syrian civilian by terrorist groups in Syria. 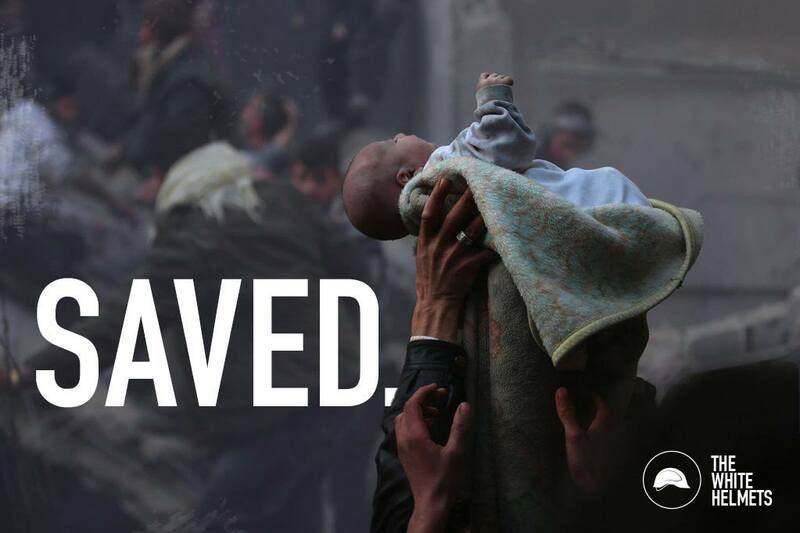 “Unpaid Unarmed Lifesavers in Syria.” ~ New York Times headline Feb 2015. 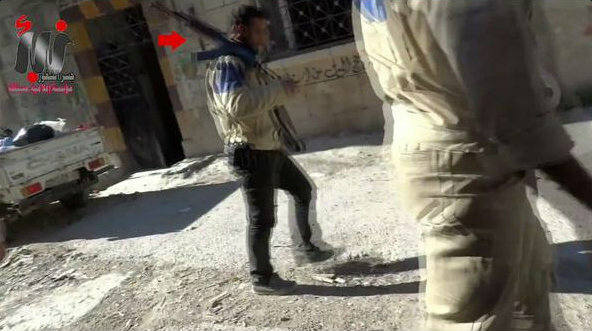 Screenshot from video clearly showing White Helmet members carrying guns. Meet another confused impartial, unarmed White Helmet, Muawiya Hassan Agha based in Sarmine, Idlib [scene of the recent alleged Russian Air Force bombing of a civilian hospital]. Muawiya Hassan Agha twitter page. It appears that Agha plays a dual role in Syria’s conflict, White Helmet by day and Al Nusra armed terrorist by night, posing on board an Al Nusra tank, gun in hand. Here is a very clear case of the lines between unarmed humanitarian and armed mercenary being more than a little blurred. In one photo Agha is seen clearly celebrating with Al Nusra wearing his White Helmet tabard. In the stills taken from the alleged Russian hospital bombing in Sarmine, Idlib, he is spotted emerging from the “bombed” building. His association with Al Nusra and his brazen show of armed affiliation leaves no doubt as to his role in this conflict and it is far removed from that of an impartial, unarmed Humanitarian. Top left: Musawiya Agha Hassan in White Helmet mode. Top Right: As Al Nusra mercenary on tank in Idlib [taken from his Twitter page profile]. Bottom left: celebrating with Al Nusra terrorists. Bottom right: Screen shot from alleged Russian air strike on hospital in Sarmine, Idlib. A very cursory scroll down Agha’s Facebook page also reveals very recent photos of SAA corpses accompanied by a number of celebratory comments. Muawiya Hassan Agha Facebook page 24/10/2015. Celebrating the death of a Syrian Army soldier. The success of the White Helmet and NGO complex propaganda is dependent upon the skewing of our moral compass by using the media and government institutions that are proven experts at “nudging” public opinion towards any particular policy. If we really want to support Syria in this battle against such a complex array of interventionist forces, we must locate that compass and allow it to point us squarely towards the truth, however hard that truth is to accept and however remote might appear from the mainstream narrative. In fact I would go as far as to say, the further away you get from the mainstream naarative, the closer you get to the truth. At this point, the question should really be asked, are these two groups working together (or are they one in the same)? EDITOR’S NOTE: In Part III we will analyse the recent speeches given by the White Helmet leaders, James Le Mesurier, Raed Saleh and Farouq al Habib, in particular, who have been doing the rounds of Western media trying to regain lost propaganda ground, including their recent guest speaker spot at the prestigious Frontline club last week. Republished in: 21st Century Wire. 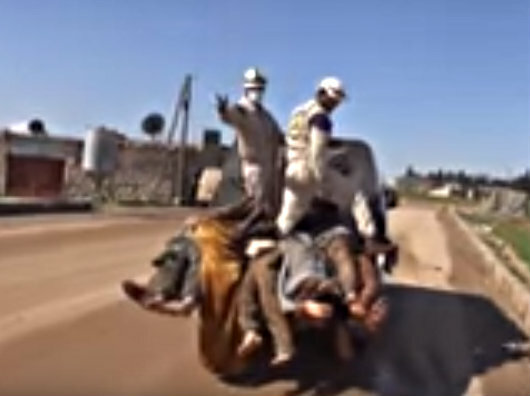 October 27, 2015 in Syria, White Helmets. WHO ARE THE SYRIA WHITE HELMETS? Really, really great post, thanks. Will share out immediately. thanks 🙂 did you see Part 1? Goes into depth on their donors and backers? LOL its a bit long, I know 🙂 still got part 3 to write. Need a break from their very murky world for a day or two. I know what you mean; I often need a break from all the grim stuff too. Oh Wow.. Thank you for this, and to The Burning Blogger for leading me here, I shall have to get to Part one, and re-read this piece. and spread it out, fantastic work. Great piece on Aleppo, thank you.